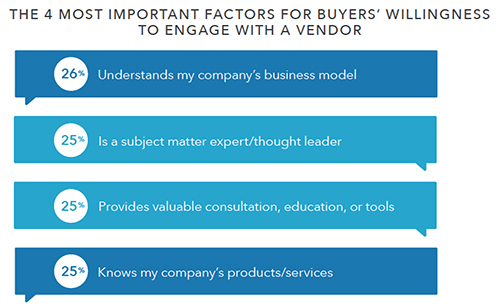 The B2B buyer’s journey is in flux. With the search engines, social media, and mobile, B2B buyers have new ways to research their purchases, educate themselves on options in the market, and buy products and services. Forrester Research says as much as 90 percent of the buyer’s journey may be complete before a buyer reaches out to a salesperson. In LinkedIn’s new ebook, “Rethink the B2B Buyer’s Journey,” we share our extensive global research on the ways buyers, marketers, and salespeople act and interact with each other have changed. For this research, LinkedIn surveyed more than 6,000 buyers, marketers, and salespeople in Australia, Canada, France, Germany, India, the United Kingdom, and the United States. Our research found that if your company is not known company-wide, then your company is not known. We found that from 3.1 to 4.6 additional departments – such as information technology or finance or human resources – influenced the buying decision, depending on the industry. This finding shows that the B2B buying process is a team game, and your brand must be familiar to the entire team, which suggests that branding and awareness advertising is essential for getting your sales team in the door. Buyers use social media at every stage of the funnel: awareness, scope, plan, select, implement. In fact, our research showed that buyers place social media in the top three content channels for each stage of the funnel. For example, 67 percent of buyers used social media for awareness, more than any other channel. Specifically, research also showed that B2B buyers tend to be more engaged on LinkedIn than other average users of the platform. 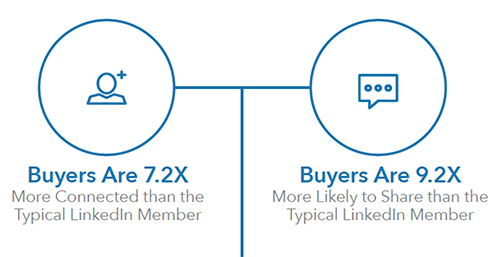 For instance, buyers are 9.2 times more likely to share content and 7.2 times more connected than the typical LinkedIn member. Nurturing, which used to be the sole domain of the sales team, is increasingly the responsibility of marketing as the buyer’s journey has moved online. Effective marketers are moving their nurturing efforts beyond email nurturing to display and social advertising and other forms of multi-channel nurturing. With marketing more involved in the nurturing phase of the buyer’s journey, alignment between marketing and sales is more important than ever. Our research shows that the higher level of sophistication that salespeople have in multi-channel nurturing indicates greater alignment between the two teams. 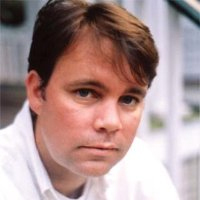 Specifically, 71 percent of salespeople who used multi-channel nurturing said their relationship with marketing was growing stronger, but only 47 percent of salespeople who didn’t use multi-channel nurturing said their relationship with marketing was growing stronger. Sales process technology -- the most prominent example of which is customer relationship management software -- is still growing in adoption. CRM software and other technologies can offer an opportunity for sales and marketing to work together in implementing this kind of software. It’s a chance for sales and marketing to boost alignment. Our research shows that marketers and salespeople who report they are knowledgeable about sales technology have significantly stronger alignment. Specifically, 77 percent of marketers who are knowledgeable about sales technology report that their relationship with sales is growing stronger, while just 55 percent of marketers who are not knowledgeable about sales technology said their relationship with sales is growing stronger. For a deeper dive into this research on how the buyer’s journey is being transformed – and how marketers can take advantage -- download “Rethink the B2B Buyer’s Journey” today!